In chapter nine of The Love of God: A Canonical Model, Peckham summarizes the five key aspects of the foreconditional-reciprocal model of divine love that he has developed in the book and then focuses on key questions concerning God’s essence in light of how he loves. God’s love is volitional, evaluative, emotional, foreconditional, and ideally reciprocal. These features highlight the “give-and-take relationality” that exists in human-divine love. God’s choice to love means that he allows himself to be affected by the disposition or actions of his creatures and to engage with humans in profoundly emotional ways. God’s love for humans is undeserved but not without conditions in that it is only those who reciprocate God’s love that enjoy a particular love relationship with him for eternity. God works toward a bilateral love relationship with humans but does not unilaterally determine who will reciprocate his love. Such coercion is incompatible with genuinely loving relationships. The bulk of this final chapter focuses on ontological issues that are key to determining what God must be like if he loves in this particular manner. The first of these issues is the relationship of divine love to God’s essence. In light of 1 John 4:8, 16 (“God is love”), many have postulated that love is God’s essence. Because of the mysteries associated with divine essence, Peckham takes a more cautious approach in asserting, “God’s character is love, and God is essentially loving” (p. 252). All that God is and does is congruent with divine love. The members of the Trinity have enjoyed an eternal love relationship with each other, but this “essential intra-trinitarian love relation does not extend to creatures” (p. 253). God is not morally or ontologically bound to love his creatures but voluntarily chooses to do so. This explanation preserves divine freedom in contrast to pantheistic conceptions that view God’s love for the world and his creatures as necessary to his being. Peckham next examines how the foreconditional-reciprocal model of divine love accords with a proper view of God’s perfection. 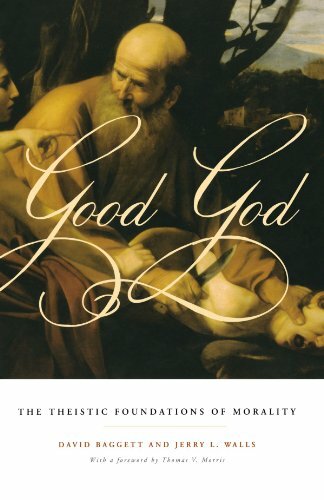 Some forms of the transcendent-voluntarist model often view God’s enjoyment of the world as a defect that impinges on divine perfection, but Peckham argues that while God is ontologically independent from the world and self-sufficient, he also finds enjoyment in the world’s goodness and takes displeasure in evil. Because of his abundant love for humans, God has “voluntarily bound his own interests to the best interests of his creatures” so that the quality of his own life is interwoven with the course of human history (p. 256). God has also extended significant creaturely freedom to humans, allowing them the choice to reciprocate his love or not to do so. The fact that humans act in ways that either positively or negatively impact God reflects that God himself is not the causal agent of these actions. 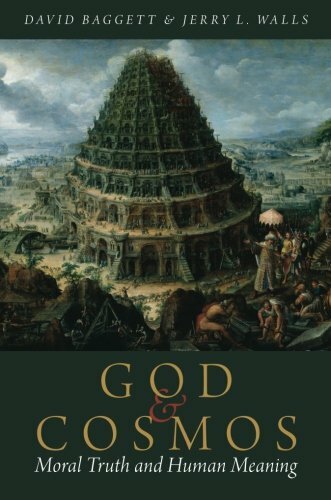 God’s will is not “unilaterally efficacious,” evidenced by the ways in which “free beings actually affect the course of history, often in ways that are not in accordance with God’s ideal decisions” (p. 258). Peckham provides a helpful distinction between God’s “ideal will,” referring to what would occur if all agents acted in perfect conformity to his desires, and his “effective will,” which refers to what God evaluatively wills after taking into account the wills and actions of his significantly free creatures. God allowed Adam and Eve to not obey his ideal will in favor of granting them this creaturely freedom. The death of Jesus was “God’s will,” not in the sense that he desired it to happen but because it was part of his larger plan of salvation. We clearly see numerous instances in Scripture where God’s desires are not fulfilled (cf. Ps 81:11-14; Isa 66:4; Ezek 18:23; Matt 23:37-39; Lk 7:30), and such occurrences are necessary as a means of securing genuinely reciprocal divine-human love relationships. Peckham’s distinction between “ideal will” and “effective will” contrasts to how more deterministic models distinguish between “desired will” and “decretive will.” In this, God genuinely desires that all be saved but has not decreed that all would be saved. Peckham raises the question, “If God’s will is unilaterally efficacious and God wants to save everyone, why does he not do so?” (p. 262). God ought to be able to determine every individual to accept his love and be saved, but the reality is that God acting in this way would be incompatible with the biblical ideas of significant human freedom and the bilateral nature of divine-human love. Lastly, Peckham examines divine love in relationship to the issue of theodicy and argues that the foreconditional-reciprocal model has advantages over the other models in outlining why there is evil in the world if God is good, all-powerful, and all-loving. The determinism of the transcendent-voluntarist model asserts that God predestines all evil but does no evil himself in that God wills these actions for different reasons. Peckham contends that this perspective is unsuccessful in attempting to avoid making God culpable for evil, asking how God could be good if he could have unilaterally willed to prevent evil without hindering his purposes and why God did not unilaterally determine that he be fully glorified before his creatures without evil. The pantheism of the imminent-experientialist model goes in a different direction, positing that God is not responsible for evil because he was unable to prevent it. This view offers an impoverished view of God and also raises the question of whether or not evil will ever come to an end.